From connoisseurs with dietary concerns, calorie conscious gourmands, and healthy choice seeking foodies, to anyone who appreciates the great taste of Beemster cheese, Beemster 2% is an exceptional find. Although its lightly nutty and fruity full-flavor, fresh floral aroma and signature creaminess suggest this cheese may not be a reduced fat option, Beemster 2% is indeed made with 2% milk. The superior milk is from cows that graze freely upon the famed north Holland Beemster polder. And, of course, Beemster’s well-known artisan craftsmanship and expert aging techniques are still readily evident in Beemster 2% Milk - all of which earned Beemster 2% Milk a Gold Medal award in the 2014 World Cheese Championship. 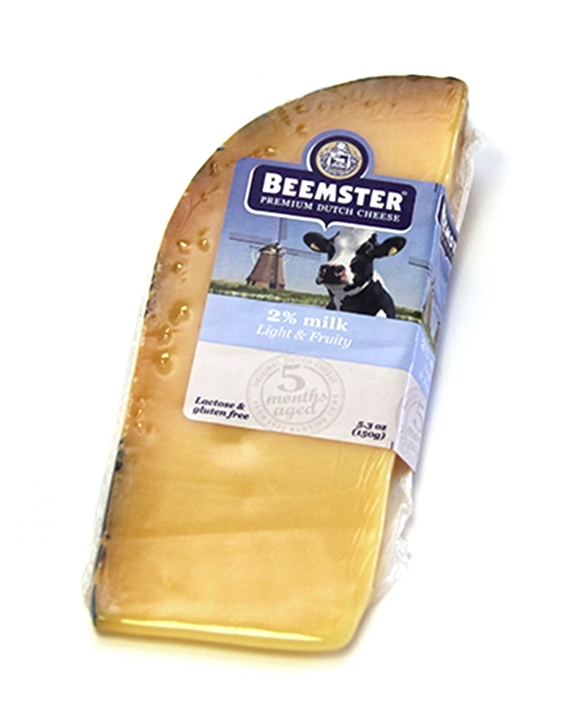 While offering 50% less fat and fewer calories than a typical aged Dutch cheese, Beemster 2% Milk delivers the delicious and luxurious taste and texture of associated with the Beemster name. Aged 5 months. Lactose and Gluten Free. Application: Great as a healthier choice for salads, tacos, snacking and sandwiches. Pairing: Works very well with a lager style beer, but if a wine is preferred, try a Chenin Blanc or a Pinot Gris. According to legend, mostarda was first conceived during the middle ages when a slice of melon fell into a spice seller’s barrel of honey. Discovered a good stretch of time later, the melon was still absolutely delightful, with a perfectly preserved sweet, fresh taste. Lazzaris started making their outstanding traditional mostardas a little over a century ago and their award-winning, sweet and spicy delicacies continue to dazzle taste-buds all over the world, generation after generation. With four basic ingredients: Quinces, sugar, candied fruit and mustard oil, Lazzaris creates an incredible array of specialties. 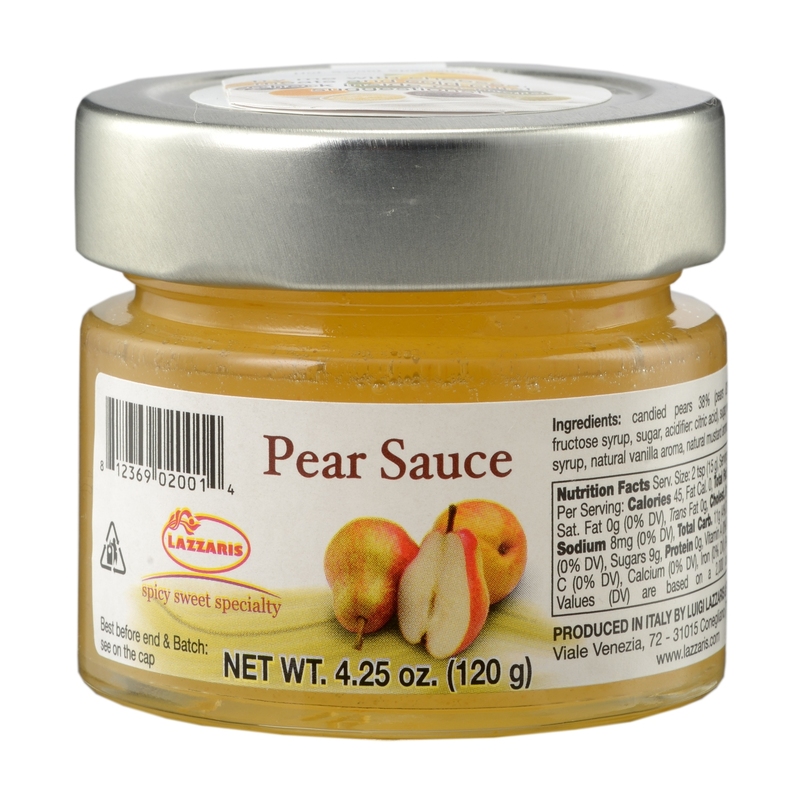 Their Pear Mustard Sauce is a delicious and fragrant blend of top quality puréed pear and mustard oil with a naturally granular texture. Pear Sweet & Spicy Sauce can be enjoyed simply with a robust cheese, or with limitless imagination for hot or cold culinary conceptions.